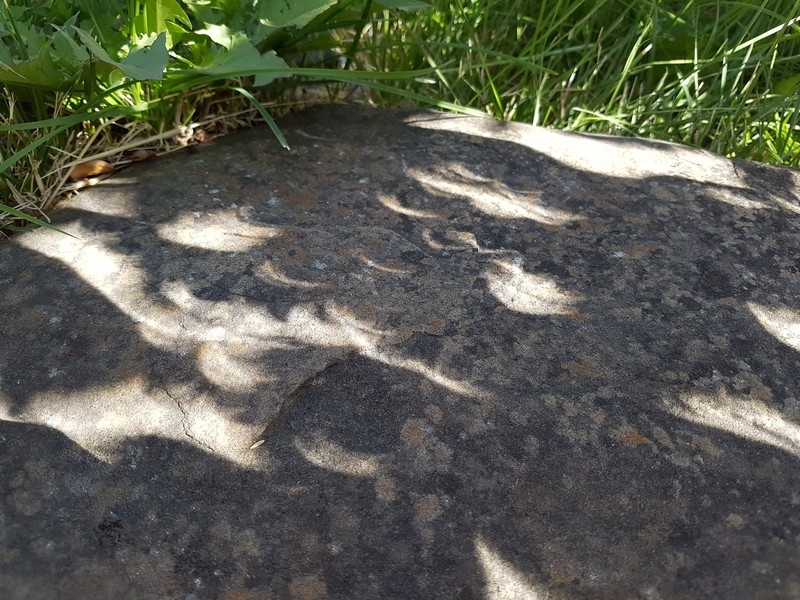 This entry was posted on Monday, August 21st, 2017 by Frances Ryan. 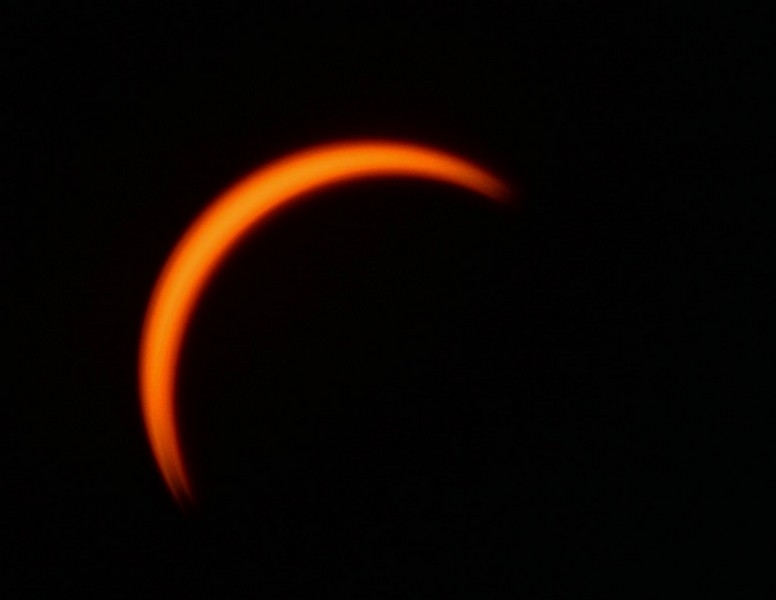 Today was one of those “once in a lifetime” moments that I hope (and expect!) 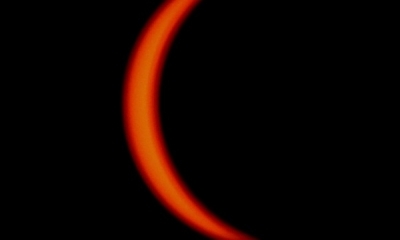 will happen more than once in my lifetime: A total eclipse of the sun! 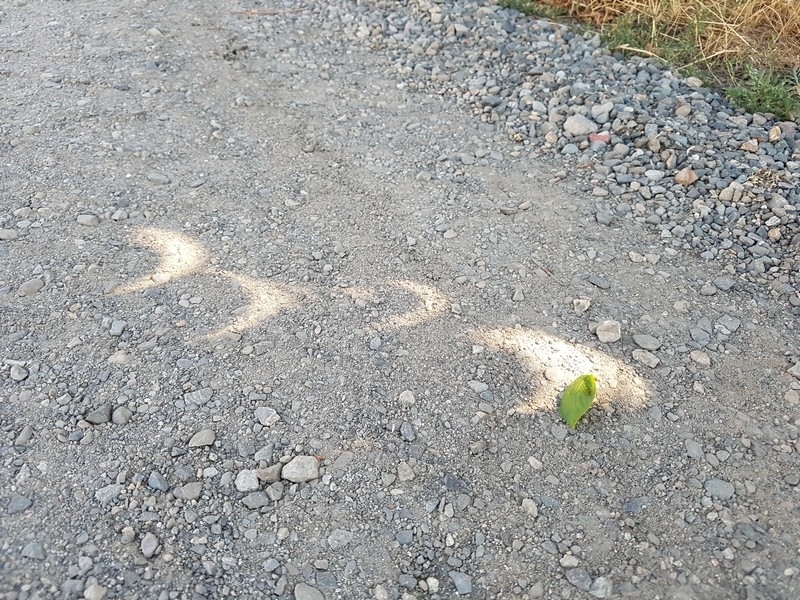 It’s something that happens fairly often in the grand scheme of things, but it’s not all too often that it happens at a time and place that allows me to enjoy the wonderment. 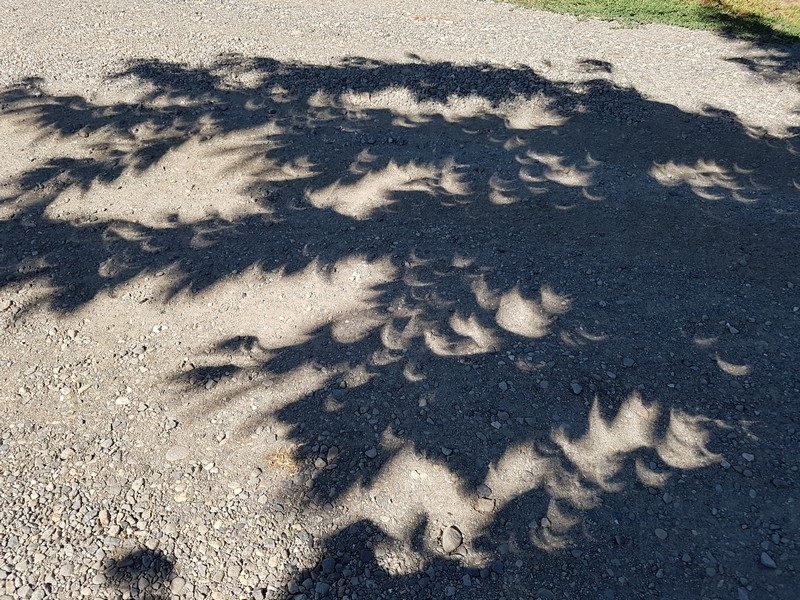 Of course, if it weren’t for the fact that I am in my Homeland for a holiday, I would have missed this year’s Spectacular Event! 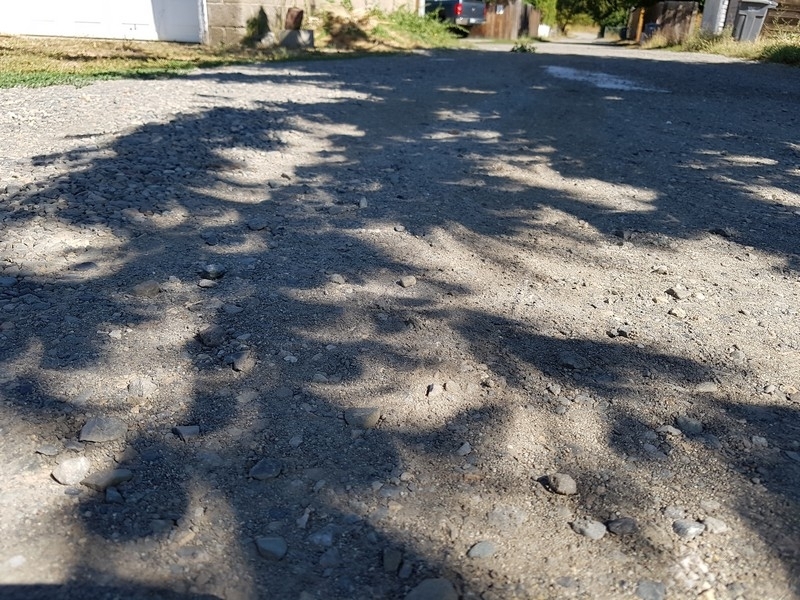 The path of totality didn’t go through my Homeland and there wasn’t really time for me to travel to Oregon for a better look at the nothingness. 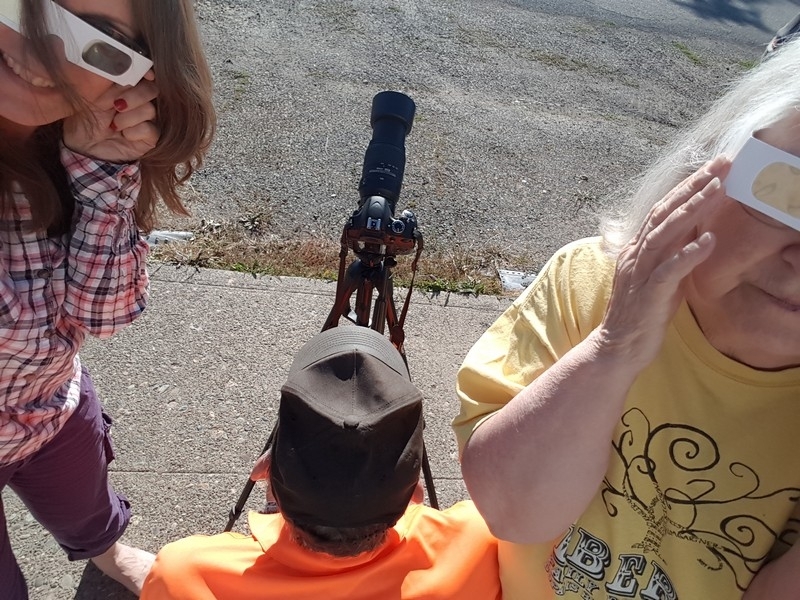 So instead, my folks and I enjoyed the 93% totality that we got here in Upper Kittitas County. 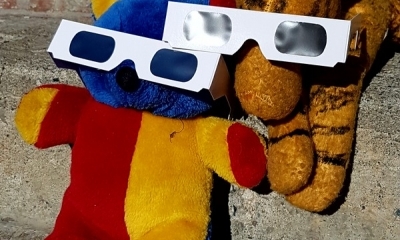 Daddy was prepared well in advance of my arrival with not only Super Special Magic Solar Eclipse Glasses, but with some equally magic NASA-approved solar filter material for fitting over the lens of his camera and my mobile phone lens. 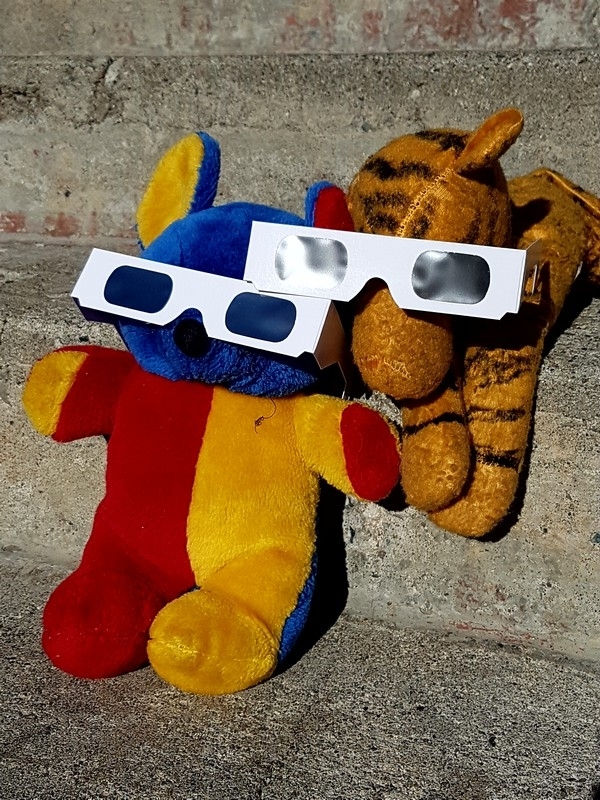 Because you need special magic stuff if you want to look at the sun whilst it is disappearing. 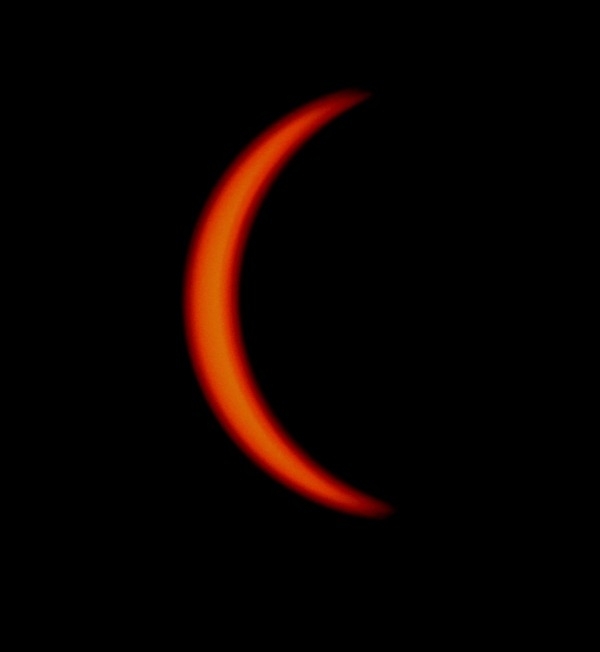 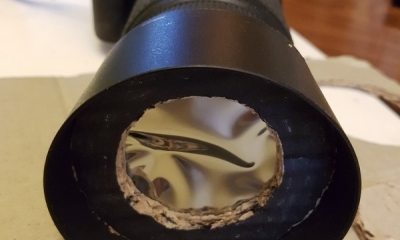 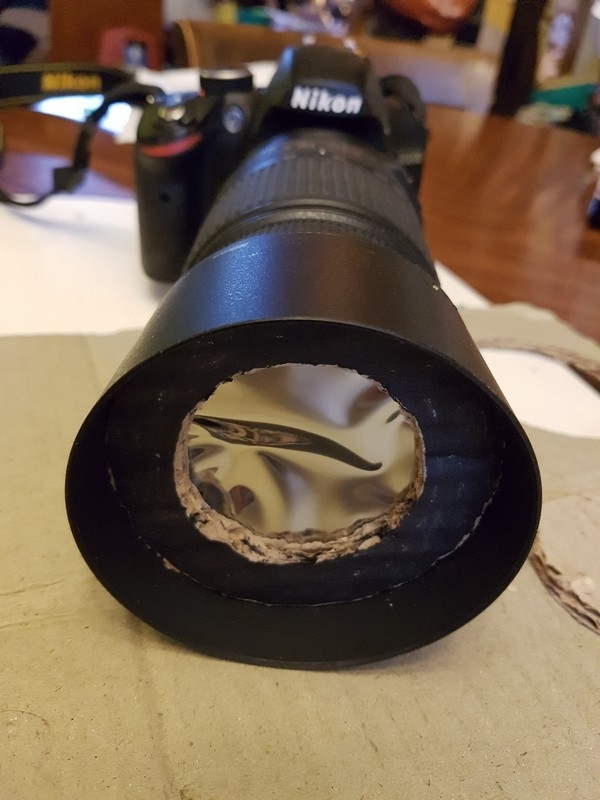 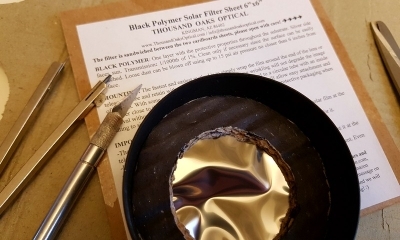 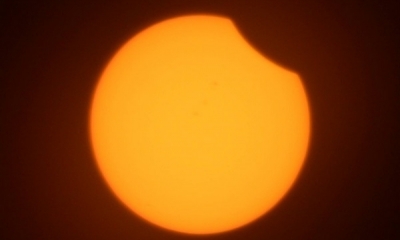 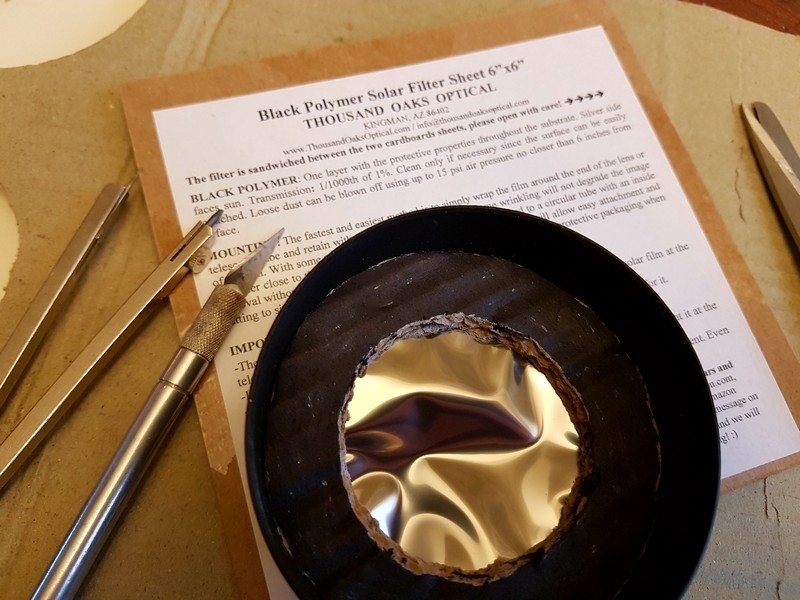 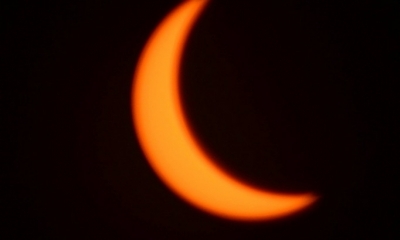 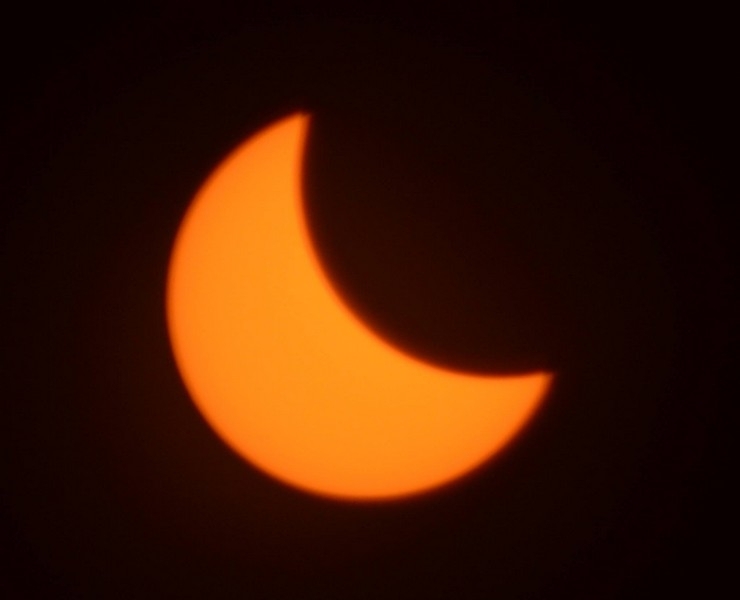 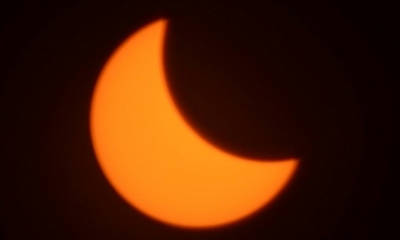 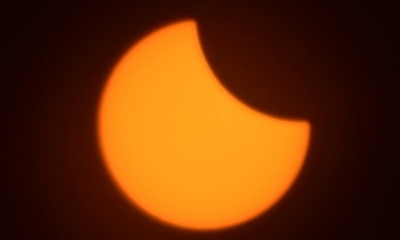 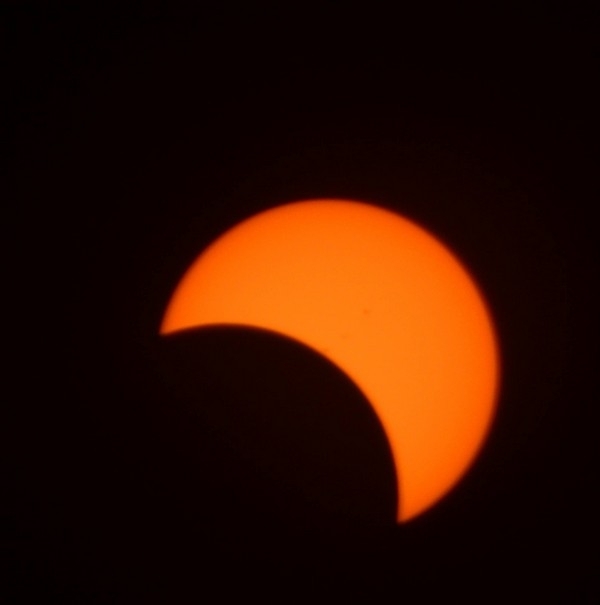 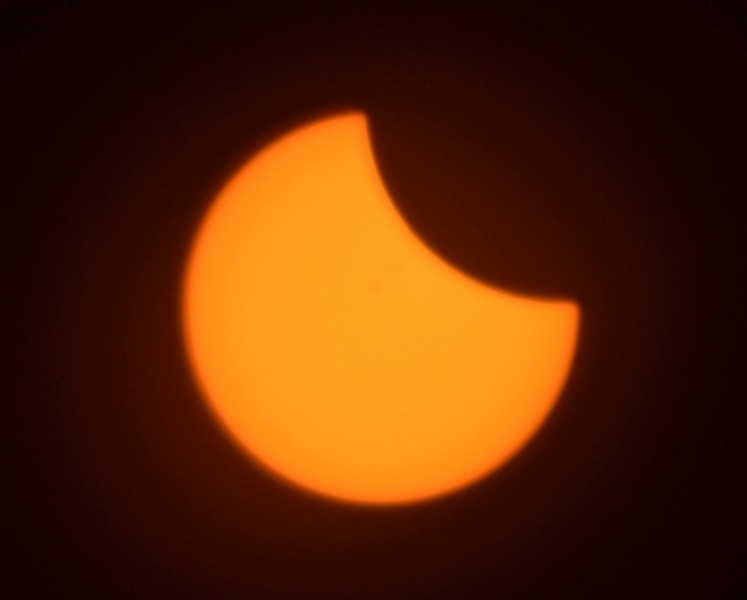 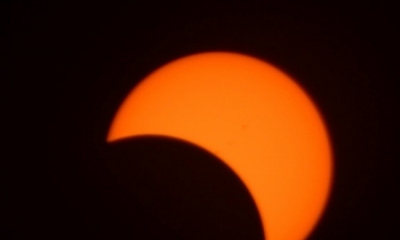 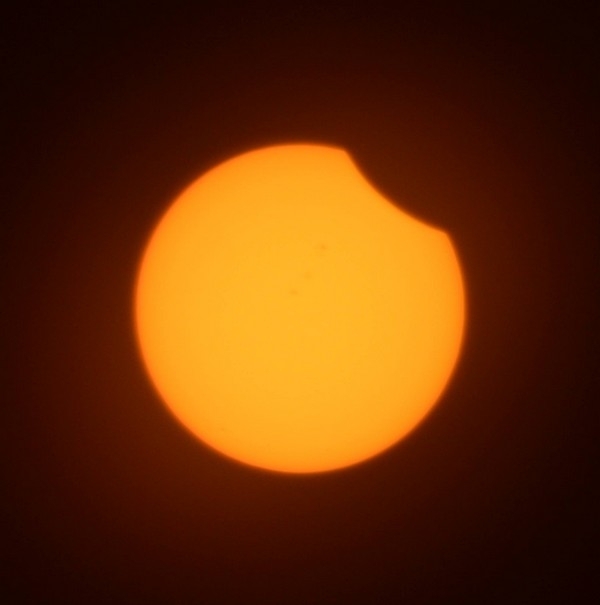 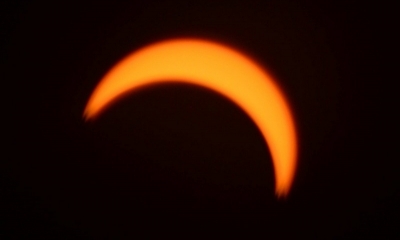 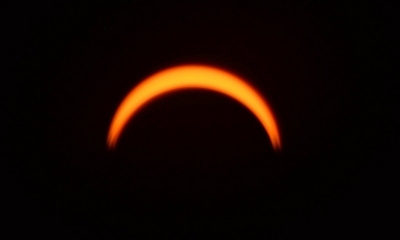 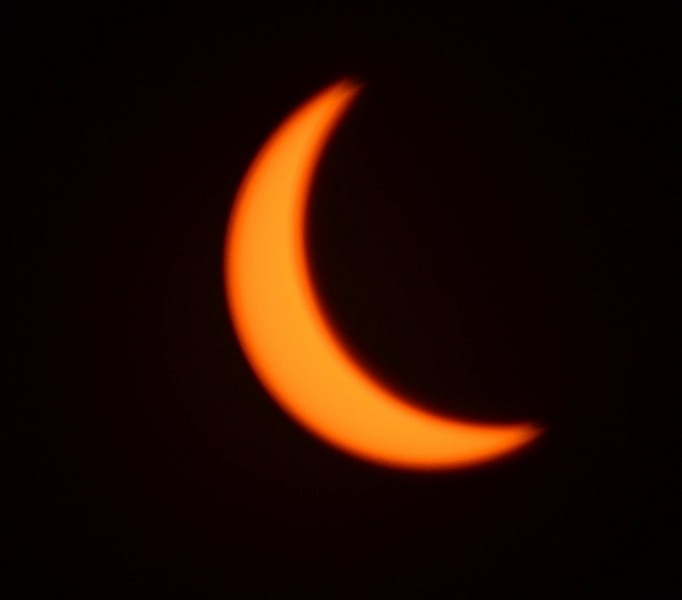 A few days prior to The Spectacular Event, we used the solar filter material to create an attachment for Daddy’s camera. 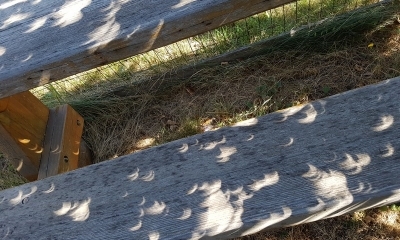 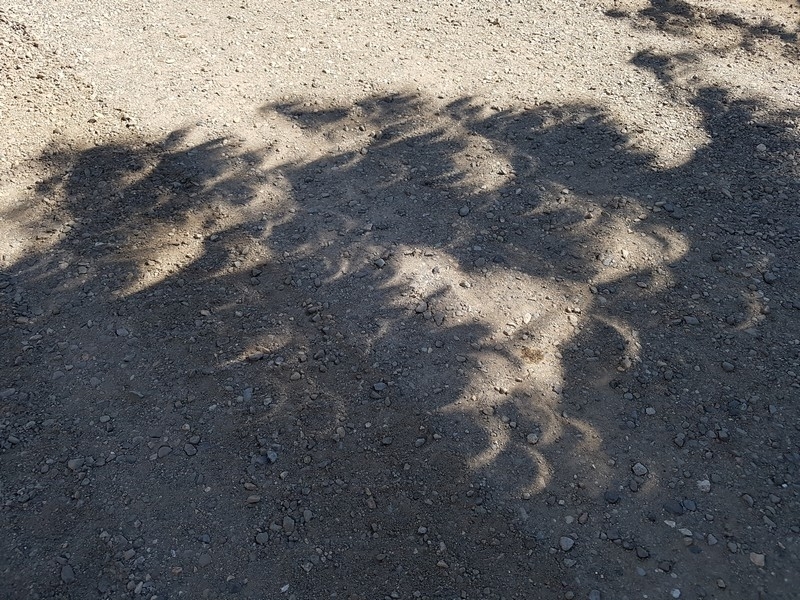 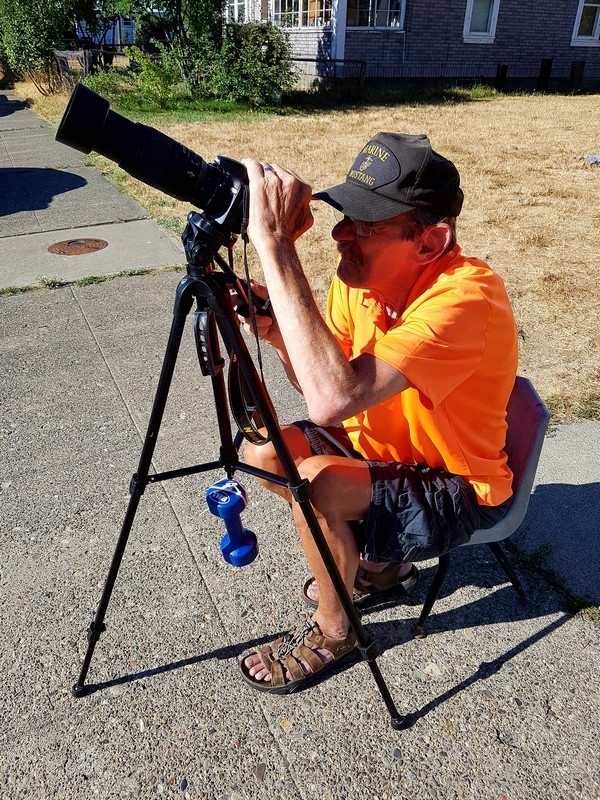 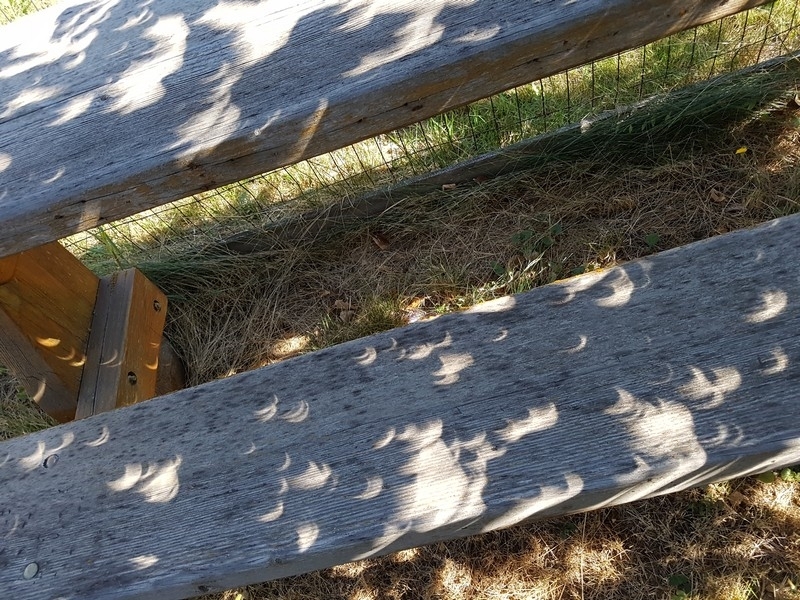 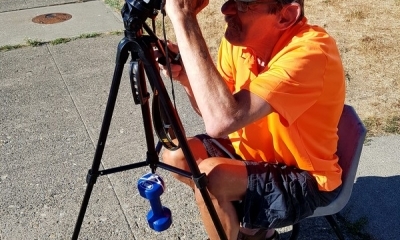 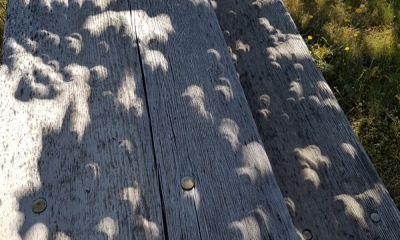 He also attached a weight to the tripod to give it stability when snapping pictures of the eclipse—and got a magic clicker to control the shutter remotely, eliminating even more movement. 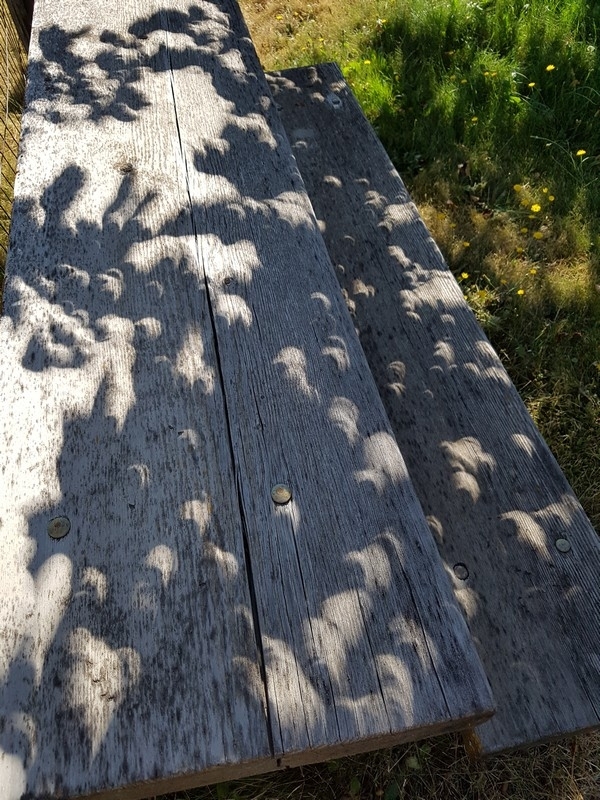 We also fashioned a bit of a filter over my mobile phone’s case so that I could take the case off for non-sun pictures without needing to remove the filter from the lens over and over again. 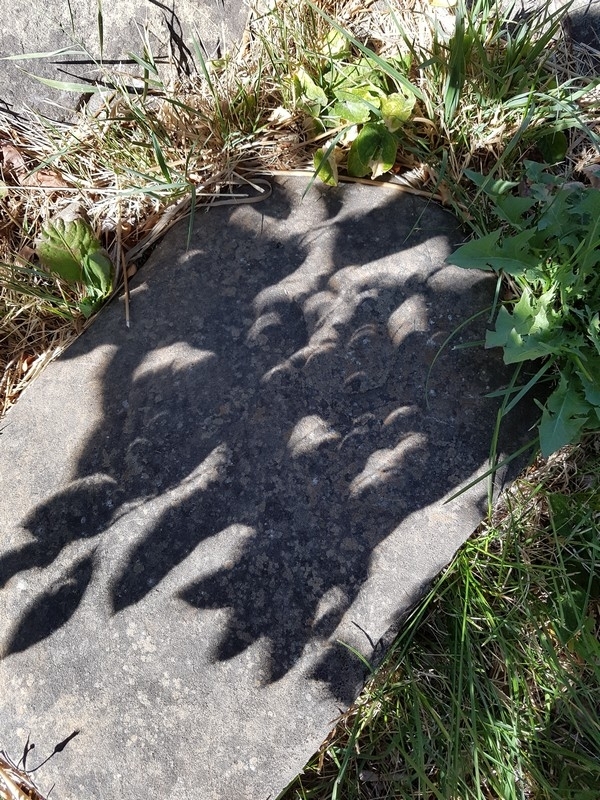 In the end, I decided to leave the sun photos to Daddy whilst I captured photos of the interesting shadows cast by the disappearing sun. 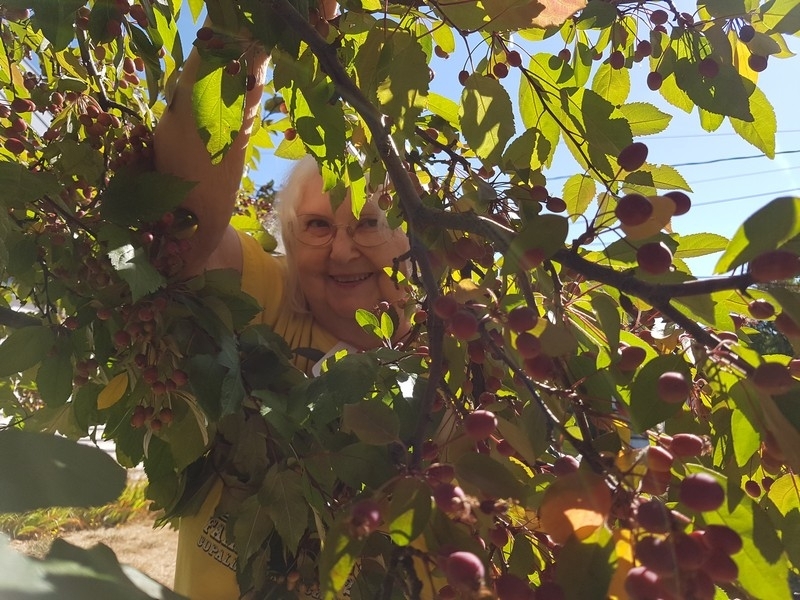 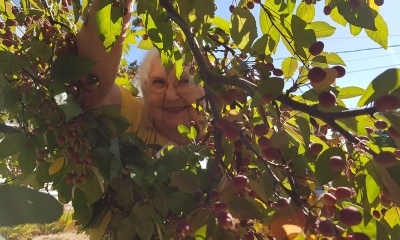 (Mum helped by moving and positioning branches at one point. 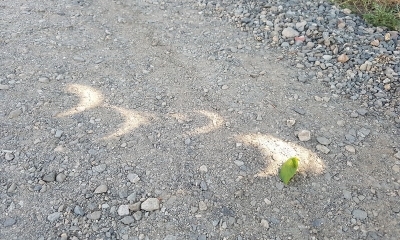 It was a real team effort!) 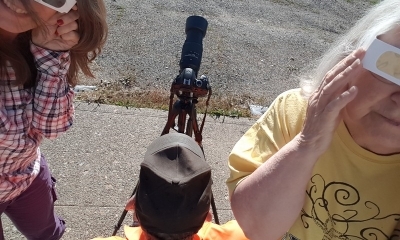 It was a fun couple of hours and I’m really pleased that I got to enjoy the day with my parents. 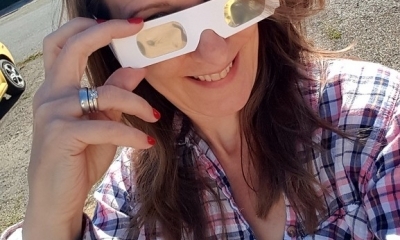 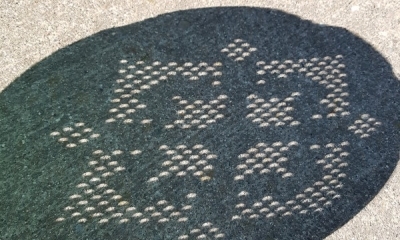 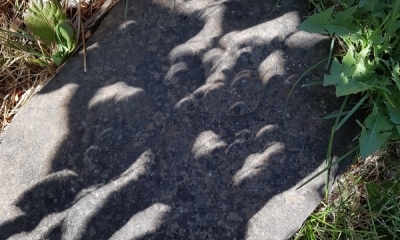 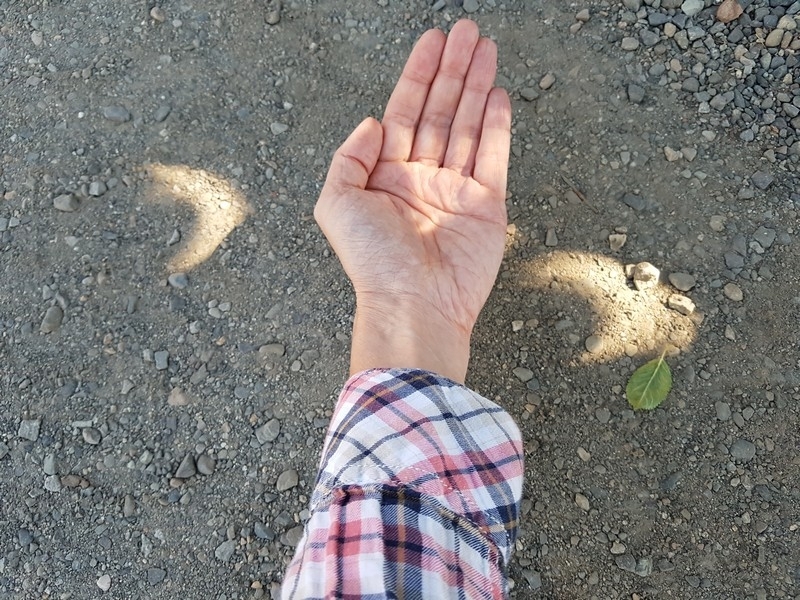 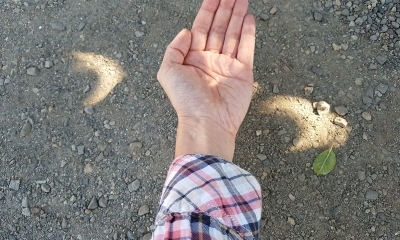 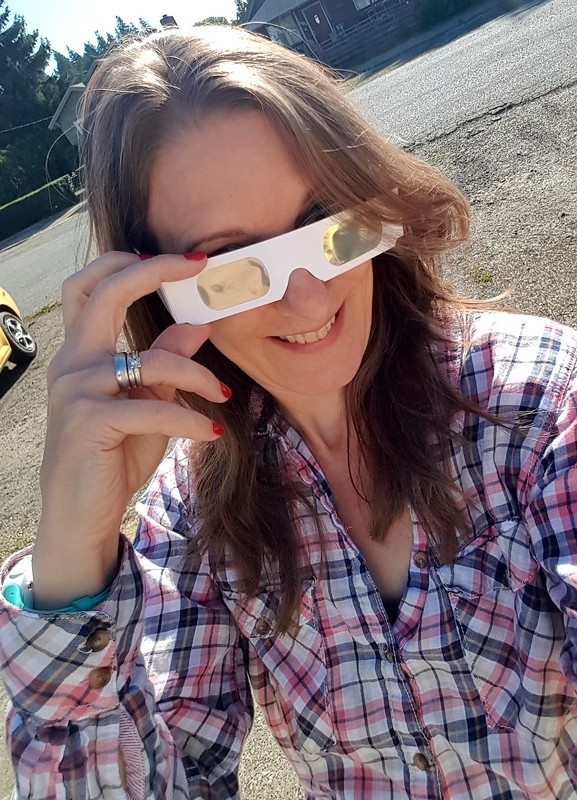 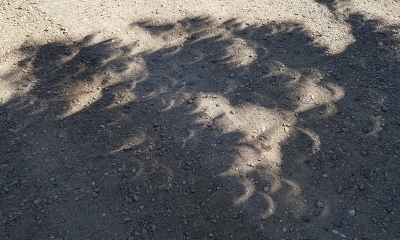 And as they’re saving the Super Special Magic Solar Eclipse Glasses for another time, I can always hold out hope that we’ll get to enjoy another eclipse together one day. 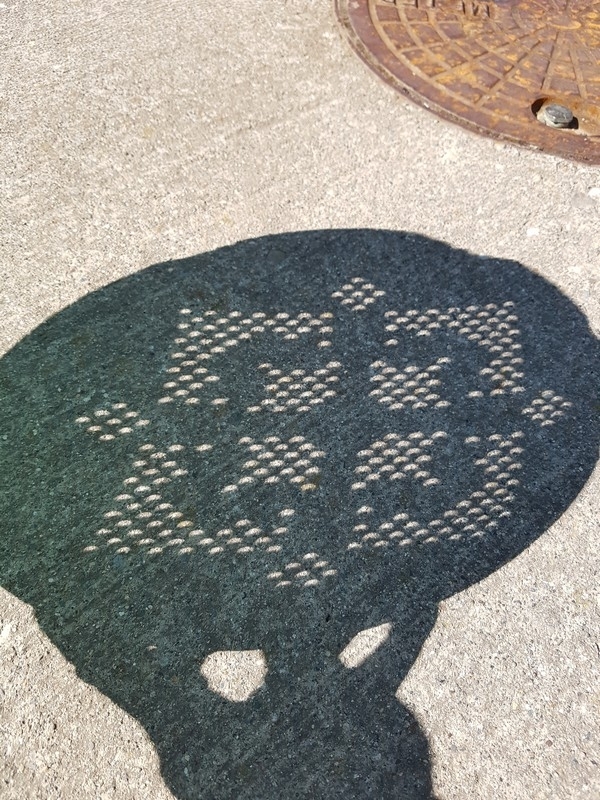 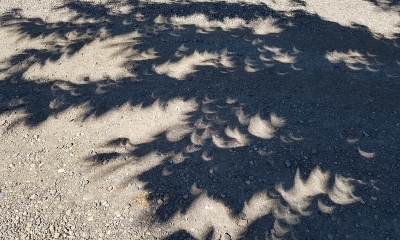 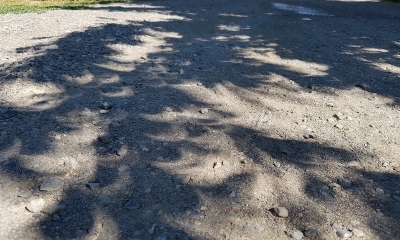 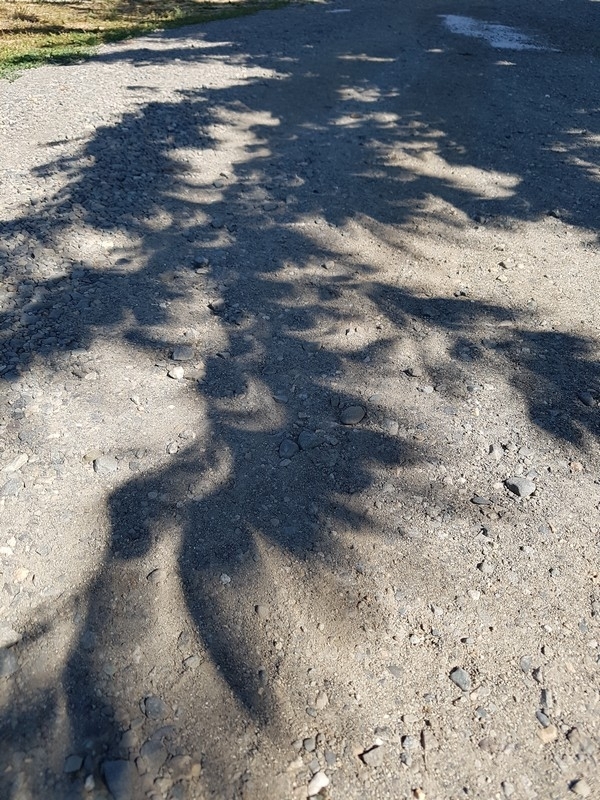 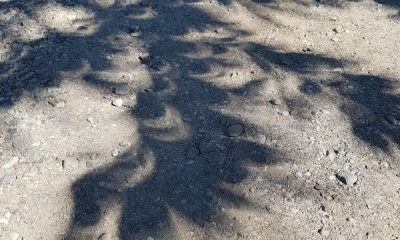 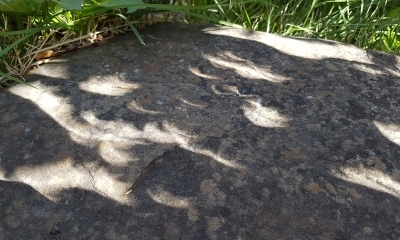 The photos below are those that I took in the lead-up to the event as well as a series of shadow photos. 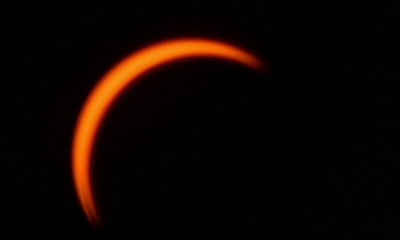 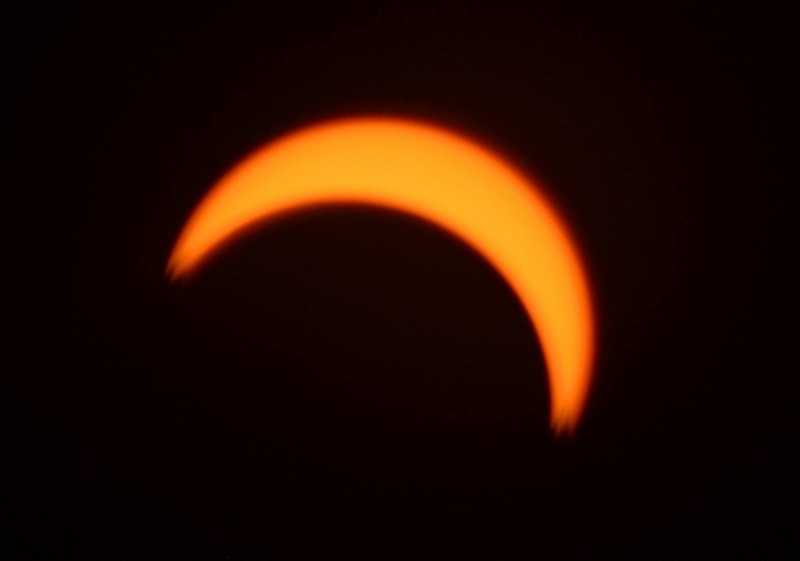 The last few photos—the ones of the orange glow of the sun—were taken by my father, Roy Cook, and shared with permission.